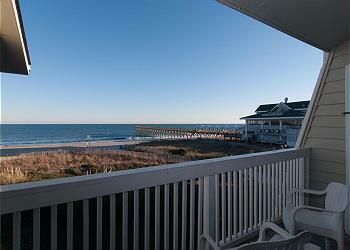 Oceanfront 4br, 2.5ba townhouse with boat slip! Save 10% through March 2019! OCEANFRONT LUMINA CLUB TOWNHOUSE WITH 28' DEEP WATER SLIP - Family and friends will relish the breathtaking beach views and welcoming ocean sounds at this comfortable and well appointed ocean front townhome with 4 BR (4th bedroom is loft) and 2.5 bathrooms. Four private decks let the sea breezes and ocean sounds lull you into total relaxation any time of the year. Save 10% through March 2019!